Get a Clear View Where You are. Where you’re Going. Where you should actually be! 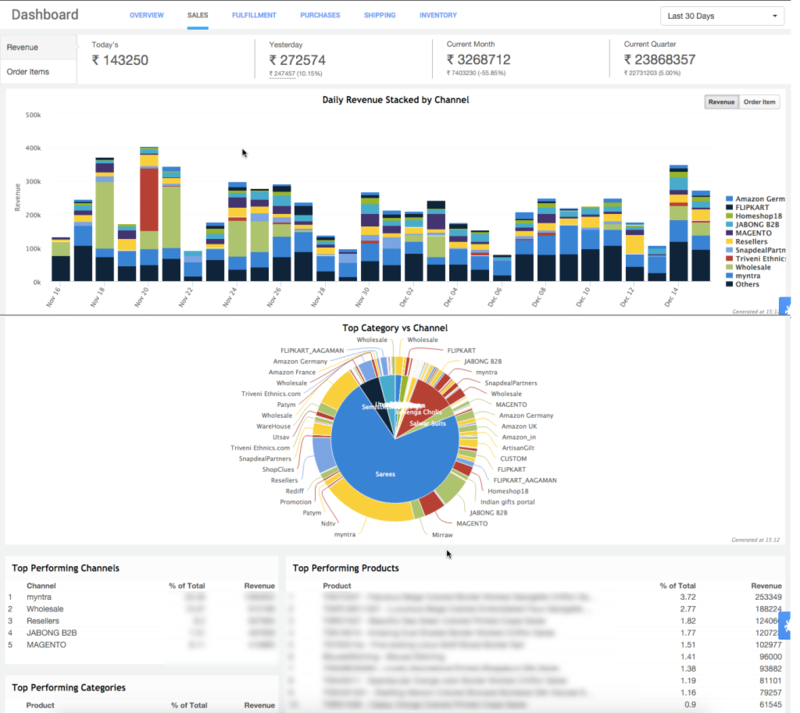 Unicommerce’s Dashboard is a great way to understand the complexity of eCommerce data. Get more visibility of the data with Unicommerce’s advanced analytics and dashboard and keep a tab on relevant things you should know about your business. Post GST implementation, compiling sales data was a big challenge for all sellers, That’s why we don’t get surprised when our customers report us that filing returns and accounting became easier using Unicommerce’s Tally GST Reports. Every report, every view, every graph of this Ecommerce Order Management Software has been thought over, carefully designed to help you in making the right judgement, take the right calls. That’s why our customers feel confident to process millions of orders every month through our order management system software.